Summer Hours: 9am to 2am all week long. olonoscopy, noscopy, Mastectomy, stectomy, opy, . Top rated general surgery services including: Colonoscopy, Hysterectomy, Tonsillectomy, Appendectomy, Mastectomy, Spider Vein Removal, and many more. t with the Spokane oratory Services, Pharmacy Needs. 56 56 for Beautiful Labor Suites aacomfortable stay. 56 BeautifulBeautiful Labor&&Delivery Delivery Suites for comfortable stay.Highly Highly Labor & Delivery Suites for a comfortable stay. Highly Experienc Experie Experienced and Attentive Care. Complimentary Professional Experienced and Attentive Care. Complimentary Professional Experienced and Attentive Care. Complimentary Professional Beautiful La Excellent Rehab Staff in both Tonasket & Oroville locations. Newb Newborn Photoshoot &&Delicious First Keep yourMeal! loved ones close to home. North Ne Newborn Photoshoot & Delicious FirstMeal! Family Newborn Photoshoot Delicious FirstFamily Family Meal! North Valley Experience a 42-bed, Medicare-certified skilled nursin Newb Hospital to the highest District quality of care and comm Our Sleep Center has acontract 2with bed sleep lab The VA isisunder Spokane Theaccredited Tonasket VA Clinic iscontract under with thewith Spokane TheTonasket Tonasket VAClinic Clinic under contract withthe the Spokane improving the quality of life of o 56 for a comfortable stay. Growing Healthcare Beautiful Labor & Delivery Suites Highly Physical, Occupational, Speech & Massage Therapy are provided to patients in Extended Care, Acute Care & in our Outpatient Facilities. with the Spokane y Extended Care is e Spokane atory Services, facility. Dedicated Services,Needs. harmacy o continuously cy Needs. idents. Extended Care is ded is cility.Care Dedicated Dedicated continuously nuously ents. highly qualified and certified staff. VAMC, and provides Primary Care, Services, VAMC, and provides Primary Care, Laboratory Services, VAMC, and provides Care,Laboratory Laboratory Experienced and Attentive Primary Care. Complimentary Professional Services, Ask your doctor about a local sleep lab study or sleep clinic you! Basic Radiology and Emergent Pharmacy Needs. Basic Imaging and Pharmacy Needs. Close To near Home Newborn Photoshoot & Imaging Delicious First Family Meal! BasicRadiology Radiology Imaging andEmergent Emergent Pharmacy Needs. ighly qualified and certified staff. ee if a Sleep Study is right for you! Keep your loved ones home. North Valley Extended is Keep loved ones close totoclose home. Valley Extended Care Keep yo Cutting technology fortoNorth use with Mammography, CT is Care Keepyour your lovededge onesThe close home. 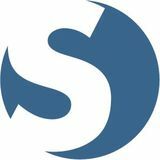 Valley Extended is Tonasket VA Clinic isNorth under contract with the Spokane Care a 42-bed, Medicare-certified skilled nursing care facility. Dedicated aa42-bed, Medicare-certified skilled nursing care facility. Dedicated and provides Primary Care, Laboratory Services, a Keep 42-be Scanning, 3&4DVAMC, Ultrasound, MRI & DEXA, Digital Fluroscopy 42-bed, Medicare-certified skilled nursing care facility. Dedicated Basic Radiology Imaging and Emergent Pharmacy Needs. to the highest quality of care and committed to continuously to care committed totocontinuously andofof Epidural Steroid Injections th We now offer Sleep Medicine services in a 2 bed facility tothe thehighest highestquality quality careand and committed continuously ato42improving the quality of life of our residents. improving the quality of life of our residents. Keep yo Keep your loved ones closeof to home. North Extended Care is improving the quality life of ourValley residents. If you have been having trouble sleeping, talk to your doc to a 42-bed to the Top rated general surgery services including: Colonoscopy, a 42-bed, Medicare-certified skilled nursing care facility. Dedicated to the highest quality of care and committed to continuously improving the quality of life of our residents. hly qualified and certified staff. We now offer Sleep Medicine services in facility a many 2 bedwith facility withqualified highly qualified and certified ualified and certified staff. Spider Vein Removal, and more. now services in a 2 bed highly and certified staff. staff. e if a Sleep Study We is right foroffer you!Sleep Medicine nowIf offer Sleep Medicine services in a 2 bed facility with highly qualified and certified staff. We now offer Sleep Study is rightWe for you! you have been having trouble sleeping, talk to your doctor to see if a Sleep Study is right for you!Sleep M We now offer Sleep Medicine services in a 2 bed facility with highly qualified and certified staff. MAIN ENTRANCE: Excellent 126 S. WHITCOMB AVENUE, WA 98855 Rehab Staff in both TONASKET, Tonasket & Oroville locations. MAILING ADDRESS: Physical, 203 S. WESTERN AVENUE, TONASKET, WATherapy 98855 are Occupational, Speech & Massage provided to patients in Extended Care, Acute Care & in our Outpatient Facilities. elcome to beautiful North Central Washington and lower British Columbia, one of the greatest “undiscovered” and unspoiled recreational areas in the Pacific Northwest. By traveling north from Wenatchee along the many scenic byways like the Okanogan Trails Byway on the International Discovery Loop, you will experience two countries, many cultures and unique history and heritage. The area abounds with ghost towns, historical landmarks, abandoned (and active) mines, camping, fishing, hunting, boating, swimming, golfing, rock climbing, sightseeing, wildlife viewing, horseback riding—you name it! Canada’s only desert region lies just north of the border, in southern British Columbia from Osoyoos to Kelowna. The area is not only Canada’s fruit basket, it also has a booming wine industry. There are wine festivals and tastings and wineries in the Osoyoos and Oliver areas – all welcome visitors. Back in the United States, north central Washington is staking out a wine industry as well, with established and new wineries from Chelan to Oroville. The Okanogan Valley has also become one of the largest producers of legal marijuana in the state with growers taking advantage of the area's moderate climate and warm sunny days. Although fishing and hunting remain two of the biggest recreational pastimes in the area, watchable wildlife activities like birding are increasing in popularity. This region offers a variety of flora and fauna for wildlife fans to explore. The Sinlahekin Wildlife Area near boasts an array of wildlife, including butterflies that attract folks from all over to see them, including some rare species. Even though the area is semi-desert, the region offers several fine lakes for swimming, boating, jet skiing and fishing. Water recreation choices range from the international Lake Osoyoos to internationally famous Lake Chelan, from the mighty Columbia River to the undiscovered Similkameen. Just west of Tonasket there's the Many Lakes Recreation area with Palmer, Whitestone and Spectacle, as well as world class fly fishing on the fly-only Chopaka. www.gazette-tribune.com 1420 Main Street, PO Box 250, Oroville, WA 98844 Office: 509-476-3602 Toll Free: 866-773-7818 Circulation/Subscribe: 888-838-3000 Publisher: Okanogan Valley Gazette-Tribune Advertising Sales: Nathan McAllister, Savannah Knowlton Design & Production: Corina Messerschmidt Photographers / Special Contributors Stephanie Blackler Mary Curtis, Kindra Anderson and Justin Haug (DFW) Contributing Writers / Photographers Gary DeVon, Katie Teachout, Charlene Helm, Brent Baker, Jim Milner (republicchamber.org), Liar's Cove Resort, Lone Pine, Leah Palmer, DOMEX Super Fresh Growers, Oroville Chamber (orovillewashington. com), Shelley Robideau and Kathenia Verjaska, and the Okanogan County Historical Society. 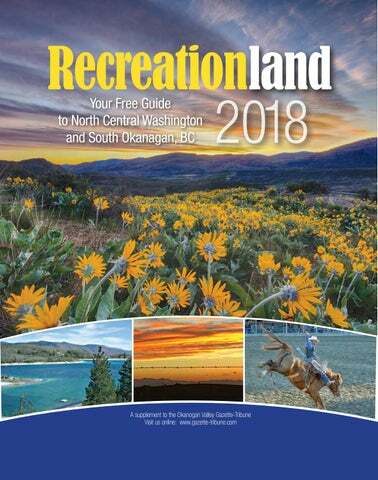 Recreationland 2018 is a special publication of the Okanogan Valley GazetteTribune. All material herein is protected under copyright law and may be reprinted only with permission in writing from the Publisher. Printed in Canada. For almost a century, May Festival has been drawing former Orovillians home the second weekend of the month. Other events are more recent. Also in May, is the Wenatchee-based Run for the Border motorcycle charity ride which also brings a Canadian contingent of motorcyclists to Oroville as well. In June, the Lake Osoyoos Cup, features jet ski racing off Deep Bay Park. As Hwy. 97’s international gateway, Oroville sees its share of American visitors headed toward one of Canada’s major tourist attractions, just four miles north. Here is Canada’s prime wine grape growing region with an abundance of premium wineries and many golf courses that attract weekend visitors from Vancouver and vacationers from throughout Canada who fly into Kelowna International Airport for a taste of BC’s Southern Okanagan and Washington’s Northern Okanogan. For more information about Oroville and the surrounding region see www.orovillewashington.com and www.oroville-wa.com. • Best Tasting Hightest Quality Meats In Town • Fresh Produce & Deli • Snacks For The Road! Tues. - Sat. : 8 a.m. - 8 p.m. Dining Room Open: 8 a.m. - 8 p.m. Ask Abo u Our t Vacatio Rentalsn ! It’s easy to transfer prescriptions from another pharmacy, just give us a call. Take A Hike ITâ&#x20AC;&#x2122;S TIME TO START PLANNING YOUR SUMMER OUTDOOR ADVENTURES After a long winter itâ&#x20AC;&#x2122;s time to start planning a summer full of outdoor adventure. Tonasket and Oroville residents are fortunate to have an excellent trail system at their doorsteps. In addition to the Whistler Canyon and Similkameen trails near Oroville, the Five Lakes Area of the Tonasket Ranger District has enough trails for a summer full of outdoor adventure. The trails in the Five Lakes area can be divided into three sections which include the Bonaparte Lake Trails, Lost Lake Trails, and Havillah Road Trails. Bonaparte Lake Trails #383, The Pipsissewa Trail starts at Bonaparte Lake and ascends up Bonaparte Mountain to a rocky over look with views of Bonaparte Lake. (2 miles) #308, Southside Trail travels 3 miles up the east side of Bonaparte Mountain and connects with trails #307 and #306. #322, Virginia Lilly Trail is a 4 mile loop trail through an old growth stand of timber. Lost Lake Trails #311, Big Tree Trail begins across from the entrance to Lost Lake Campground and travels to the Big Tree Botanical Trailhead and Interpretive Site (1.7 miles). #309, Strawberry Mountain Trail is a popular hike up Strawberry Mountain and provides a good view of Lost Lake and Bonaparte Mountain. #316, Beth Lake Trail begins in Beaver Lake Campground and travels 1.9 miles to Beth Lake. THE OKANOGAN HIGHLANDS T here are many small communities in the Okanogan Highlands enjoyed for their recreation as well as their history and culture. Chesaw, an old gold mining town, was named for Chinese miner Joe Che Saw and is 21.5 miles east of Oroville. The town has a general store with gas pumps, a tavern and art gallery. The tiny town’s population has dwindled to just a handful, but each year the familyoriented Fourth of July Rodeo is a huge draw. In August, the town invites people to participate in one of the many activities planned around the “Hot August Nights” celebration. But there is more to Chesaw. There’s beautiful scenery and wildlife, hiking, camping and fishing in the National Forest and at nearby Lost, Beaver and Beth lakes. There's lodging and recreation at the nearby Eden Valley Guest Ranch as well. Molson was initially financed by John W. Molson of Canadian brewing and banking fame. The three-story brick schoolhouse is now the Molson School Museum. It houses artifacts and a souvenir shop. Many exhibits reflect the area’s mining and farming past and other facets of rural life. Today, the original townsite is a ghost town and is the Old Molson Outdoor Museum with a variety of early day town buildings and agricultural equipment. Both museums are sponsored by the county historical society and manned and maintained by a local group of dedicated volunteers. Each June Molson celebrates its Mid-Summer Festival, reflecting the area's Nordic past, with a walk/run, May pole decorating and dancing, music, food, arts and crafts, horseshoe tournament, old-fashioned kids' games, frisbee golf, a car show and much more. The NW Ice Fishing Festival draws anglers from all over the northwest to try their luck in nearby Sidley and Molson lakes each February. Fishing and camping are among the great number of recreation possibilities around the Aeneas Valley area. There are several small lakes located along Aeneas Valley Road – Round, Long and El lakes. Crawfish and Lyman lakes are not far away either. The community of Wauconda, 24 miles east of Tonasket, pops up along Highway 20 like an oasis, inviting and colorful after the vast miles of ranches and rolling hills that surround it. There is a tiny U.S. Post Office, grocery store and café that harkens back to a simpler time. Wauconda hosts a Flag Day Celebration each year, as well as an annual car show and 50's sock hop mid-July. It’s only a short drive to Lost, Beaver and Beth lakes, which offer some of the areas best fishing and camping opportunities. This same area offers some of the most varied hunting you will find anywhere. You can also enjoy boating, swimming, hiking, snowmobiling and other winter sports. The Chesaw Rodeo Drill team at the annual Fourth of July Rodeo. Sharing a quiet moment at Bonaparte Lake in the Okanogan Highlands..
Molson Schoolhouse Museum Lake Osoyoos Ch esa wR d.
county in Washington State. With 1,000 miles of scenic trails, 200 water and wildlife access areas, three million acres of public land, and over 300 days of sunshine, you can experience almost any outdoor adventure imaginable. Cap e La Belle Rd. We have what you need to get a job done. We have all your BBQ & Picnic Favorites! Mon. - Sat., 8 a.m. - 8 p.m.,  Sun., 9 a.m. - 6 p.m.
Come to Shannon’s for some delicious homemade pies, ice cream, and a whole selection of great food! Pizza, Subs, Salad Bar, Calzones, Wraps & More! OKANOGAN Okanogan, incorporated in 1907, became the county seat of the largest county in area in Washington in 1914. Highlights for the town include the annual county fair, Sunny Okanogan Days and Harvest Festival. Being the county seat, Okanogan is also the home to the historic Okanogan County Courthouse. There is also the Okanogan County Museum, which features an extensive history of the county, as well as many “Frank Matsura” photographs from the famous Japanese frontier photographer who made the Okanogan his home before the turn of the last century. Outside the museum is a replica of an Old West town of the early 1900s and a replica of the town’s original firehouse. Outdoor displays include farm equipment and what is believed to be the Okanogan’s oldest standing structure, a log cabin built in 1879. The museum is located adjacent to the Legion Park, which can accommodate overnight RV parking (no hookup) for a small fee. For more information see: www.okanoganchamber.com. and picturesque town, it sits between the Okanogan River and Highway 97. Riverside was once a booming commercial center. As head of navigation for the Okanogan River, goods transported via steam paddle wheeler up the Columbia and further up the Okanogan could not get past that point. So Riverside became an important connection between the then isolated county and more populated areas of the region. In summer there’s the Stampede and World Famous Suicide Race which has been held since 1935. The event features four rodeo performances followed by the Suicide Race, where horse and rider plunge down a steep embankment and cross the Okanogan River for the push to the finish line. There is also a genuine Native American encampment complete with over 100 teepees, and native dance competitions with dancers in full traditional dress. Protect your health from arsenic, dioxins, lead, & mercury. Leave no trace in your smoke. Contact your local ﬁre district to see if campﬁres are allowed in your area. Veterinary Clinic Quality care for large and small animals since 1977 Denise S. Krytenberg, D.V.M. Bring in this ad and receive 25% OFF our regular room rate. NOT VALID JULY OR AUGUST. Each Best Western is independently owned and operated. Shady Pines Resort Welcomes you! Immaculate and peaceful, Shady Pines Resort is in the center of some of Washington’s best hiking, swimming, water skiing, snowmobiling, fishing, hunting and bicycling. We offer fully equipped cabins, RV parking with full hook ups, tent sites, gift & tackle shop, boat rentals and massage therapy. Enjoy Fun In The Sun! A wide range of activities await campers at our resort. Enjoy the beauty of the Conconully Reservoir, Liar’s Cove is waiting for you. Conconully is a wonderful site for a family vacation any time of the year. There are lakeside resorts, in-town lodging, several restaurants and a general store with gas pumps to serve visitors. Most of the resorts offer boat and/or canoe rentals. Some feature such amenities as pools, showers, RV parking and campsites. Kids have a good time wading in the pond and playing on the swings, slides and big toys at the state park, which has excellent camping and picnic facilities. Spring is when the high alpine meadows boast carpets of wildflowers, accessible only to the hiker or horseback rider. Spring is also when anglers start coming to town to test their skills on the rainbow, triploids, bass and kokanee in the Conconully Lakes. In the summer you can swim, fish, water ski, bicycle, horseback ride, take a nature hike, rock climb or just relax and enjoy the glorious scenery. For more information visit www.conconully.com. Four Seasons... Hunting, Fishing, Snowmobiling, ATVing. BRIDGEPORT Bridgeport offers four city parks, lavish shade and picnic areas. Berryman Park boasts expansive lawns, a barbecue area with covered picnic area, basketball court, play area and the city swimming pool open in the summer, as well as a war memorial with vintage aircraft and militaria. Marina Park is a peaceful, overnight campground featuring breathtaking views, marina, boat launch, play area, restrooms, showers and plenty of green grass for picnics and lazy days. For anglers, Bridgeport offers Rufus Woods Lake for triploid trout, walleye, native rainbow and bass. Lake Wood has a nine-hole golf course and trails for hiking and biking. Bridgeport State Park is a 748-acre camping park with 7,500 feet of freshwater shoreline on the lake behind Chief Joseph Dam on the Columbia River. The park provides 18 acres of lawn and some shade in the midst of the desert terrain. For more information go to www.bridgeportwashington.net. offers excellent fishing, numerous boat launches, docks and riverside picnic areas. Surrounded by apple and cherry orchards, the beauty of farmland and the mighty Columbia River creates an environment perfect for bird watching, fishing and hiking. located on the banks of the Columbia and Methow rivers, it offers everything an avid outdoors person would love. Hiking, biking, swimming, boating and sightseeing are just a few of the possibilities, not to mention the snowmobiling, skiing and hunting later in the year. For the fisherman in the family, Pateros has one of the best fisheries in the state. Steelhead, salmon, walleye and bass fishing are all available. There are several parks to give visitors a wide variety of picnic and playground choices. On the Pedestrian Mall there is a new splash pad for those of all ages to play and cool off by and the swim area has been newly refurbished. Visit the New City Museum at city hall and then take a self-guided history tour along the park trail under shady trees and visit the many places to eat along the way. Maybe you would like to just pull up a park bench and relax while watching the wildlife play along the riverbanks. Pateros has eight boat docks and two boat launches available on Lake Pateros, the reservoir created behind Wells Dam. There are close to 30 miles of uncrowded water to explore and play on and curbside camping is also available. The big event for Pateros is the annual Apple Pie Jamboree, which takes place in July. For more information on Pateros contact the Pateros Visitor Center at (509) 923-2571 or check out the website; www.pateros.com. memorable experience. Enjoy year-round fishing on Banks Lake, Lake Roosevelt, Lake Rufus Woods, or one of the numerous smaller lakes in the area. Lake Roosevelt, formed by the Grand Coulee Dam, extends 151 miles upstream to the Canadian Border. Experience a scenic hike through Northrup Canyon or to the top of stunning Steamboat Rock, view all sorts of wildlife and birds, take a turn at the skateboard park, take a bicycling trip along the Columbia River, enjoy boating on all of the open water in the region, go swimming and water skiing, golf nine or 18 holes and take in simply gorgeous sunsets on the magnificent Coulee Walls. And don't miss the laser light show, broadcast every evening between Memorial Day and Sept. 30 onto the mile-wide face of the Grand Coulee Dam. For indoor fun, learn about the history of the region at the Visitor's Center and the Colville Tribal Museum, play your favorite casino game, or enjoy a great meal at one of the area's restaurants. For more on what to see and do, see www.grandcouleedam.org. Carousel in Ferry County varieties of trout. The park features 82 campsites, some of which have power, water and sewer hook-ups, a roped-off swimming beach, boat ramp, trailer dump, restroom and hot showers. For more information about Republic and Ferry county see www. Ferrycounty.org and www.republicchamber.org.Lake. Curlew Lake is a favorite destination for fishermen, sporting different varieties of trout. The park features 82 campsites, some of which have power, water and sewer hook-ups, a roped-off swimming beach, boat ramp, trailer dump, restroom and hot showers. For more information about Republic and Ferry county see www.Ferrycounty.org and www.republicchamber.org. A Family Tradition • 25 Rooms with all the amenities • Walk to Stonerose’s Fossil Site & downtown • Close driving to Ferry County Fairgrounds &Curlew Lake. Cherry orchards in Orondo near the Columbia River. rondo is named after a mythical Great Lakes Indian and was first settled in the 1880s. A growing community along the Columbia River, it is well known as a fruit producing area with apples, cherries, pears and peaches. There are several fruit stands along U.S. Hwy. 2 that offer travelers a chance to stop and enjoy some of the local produce. Desert Canyon Golf course is also located in Orondo and features a restaurant and accommodations. Lone Pine Fruit & Espresso has become a favorite spot to stop along the way, for more information see www.lonepinefruit.com. The area has become a vacation and retirement spot with new homes going up along the Columbia offering many recreational opportunities like fishing, boating, water, jet skiing and relaxing under the warm summer sun. We are dedicated to providing high quality, safe, efficient, cost effective and compassionate care for our patients. Call one of our clinics today to schedule an appointment.